Details: Check out Timex Mid-Year SALE! 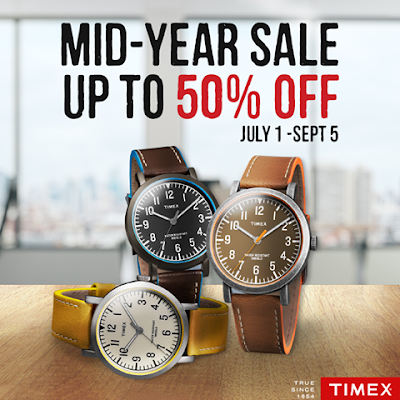 Enjoy discounts on TIMEX watches from July 1 to September 5, 2016! Visit any Timex Shops, kiosks, Watch Republic Stores, and leading department stores near you!